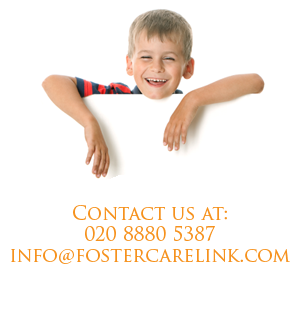 Send profiles of the children and young people requiring placements directly by fax (020 3609 4796) or email (admin@fostercarelink.com). Please ensure that a cover sheet is attached with full details of the person to contact regarding the placement. Our duty social worker will then contact you to discuss further details and offer possible placement matches from our database. Call our Referrals Line on 020 8880 5387. One of our staff will discuss the case with you and complete a referral matching form. Our duty social worker will thereafter contact you to take further details if necessary, and will then offer possible placement matches that are suitable.